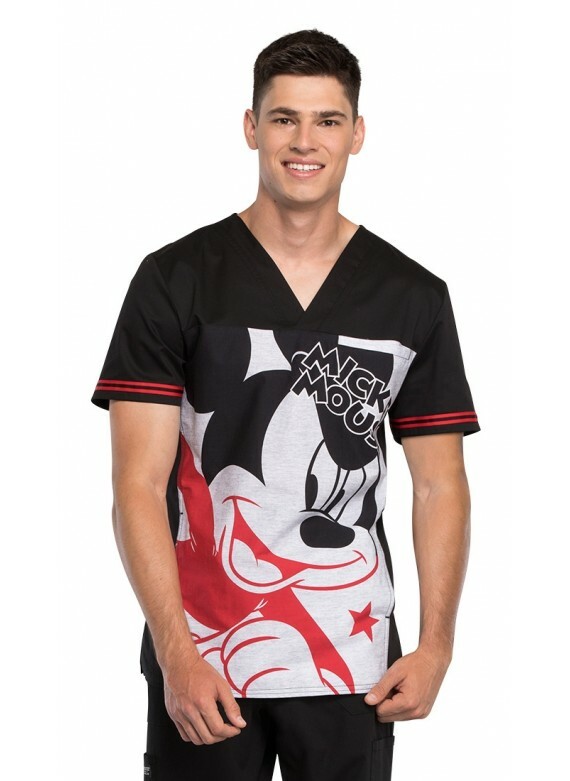 This new scrub top from Cherokee is one of the most popular Disney scrub tops this season. The red, black and white colors lend this cool scrub top a bold, sharp look. Sporty vibes, contrasting red stripes at the sleeve hem, and a well-designed masculine fit all work together to enhance the look, and will have you looking absolutely contemporary. And although it's quite modern, this cartoon character scrub top, crafted entirely of soft, indulgent cotton, doesn't force you to compromise on comfort at all. Finding the perfect printed scrub top can take time, but you can finally end your search. 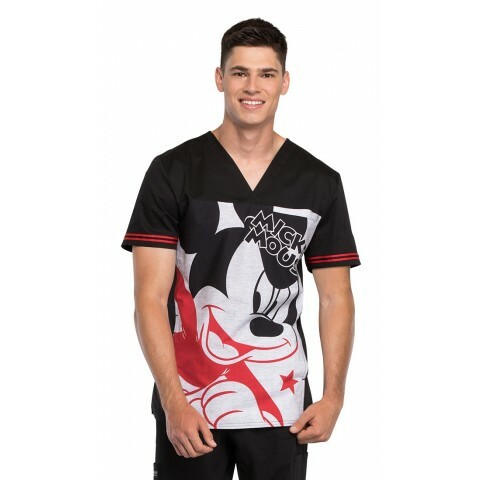 You've just discovered one of the most trendy and attractive men's Disney print scrub tops available on the market!